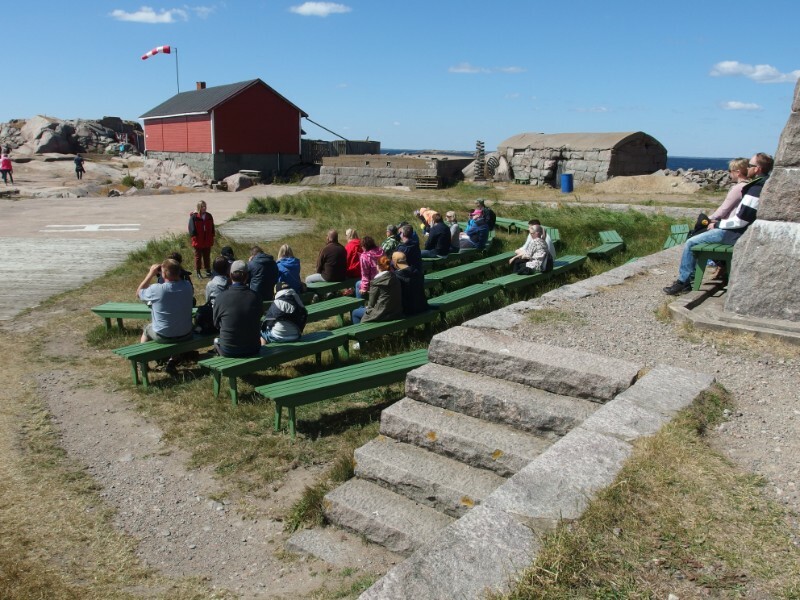 For tour boat passengers and charter groups, guiding is available shortly after arrival. Guiding takes about 15-20 minutes. Weather permitting, it will be outdoors. Guiding will be available as needed in Finnish, Swedish, and English. It is not possible to give tours to private boats, but you can join the tours organized several times per day. 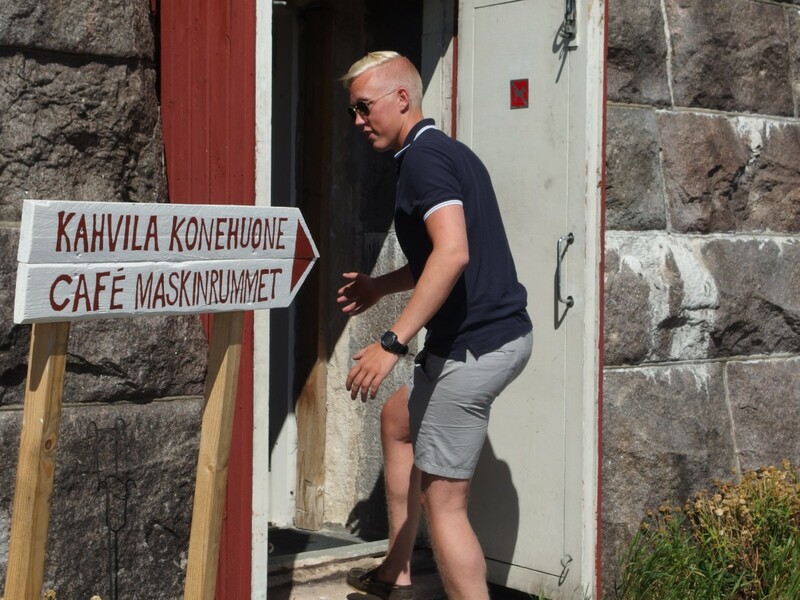 After the guiding, visitors can explore the exhibitions, the lighthouse keeper’s home, the chapel, and the bunker. Everyone who wants can climb all the way to the top of the tower. Day visitors are not allowed into the accomodation spaces on the third floor, to preserve the privacy of the overnight guests. Coffee and pastries will be served every day, but meals will be prepared only for groups that have ordered in advance. 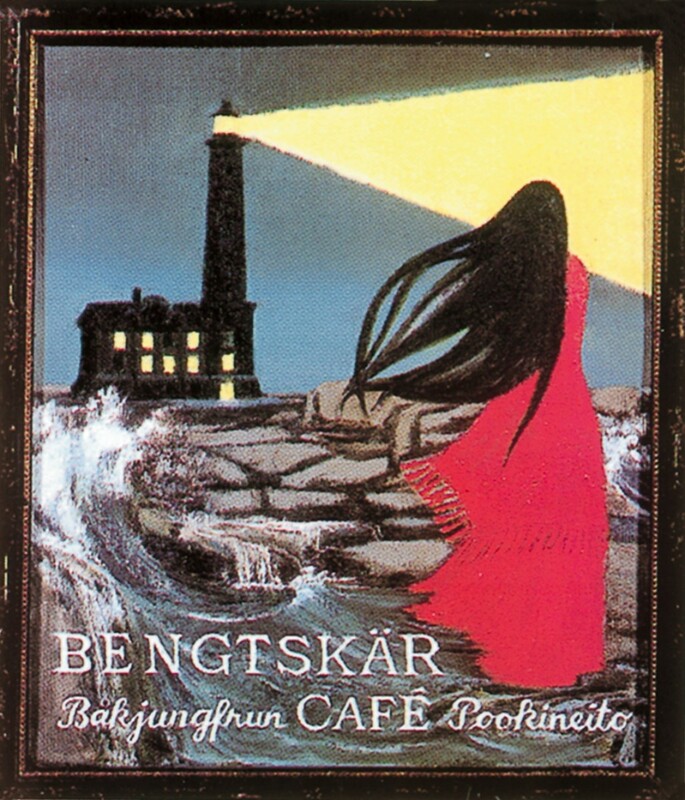 Groups can, for example, order Bengtskär’s traditional fish soup. An appropriate group size is 10-30 people. Café Båkjungfrun has 45 seats. During the peak of summer, a second cafe, Café Maskinrummet, opens on the ground floor. The kitchen at Bengtskär can accommodate most common food allergies if informed in advance. Low lactose products are used in all of the cooking. The lighthouse has a liquor license and has small bottles of beer and wine for sale. For day visitors there are outdoor toilets and a pissoir. 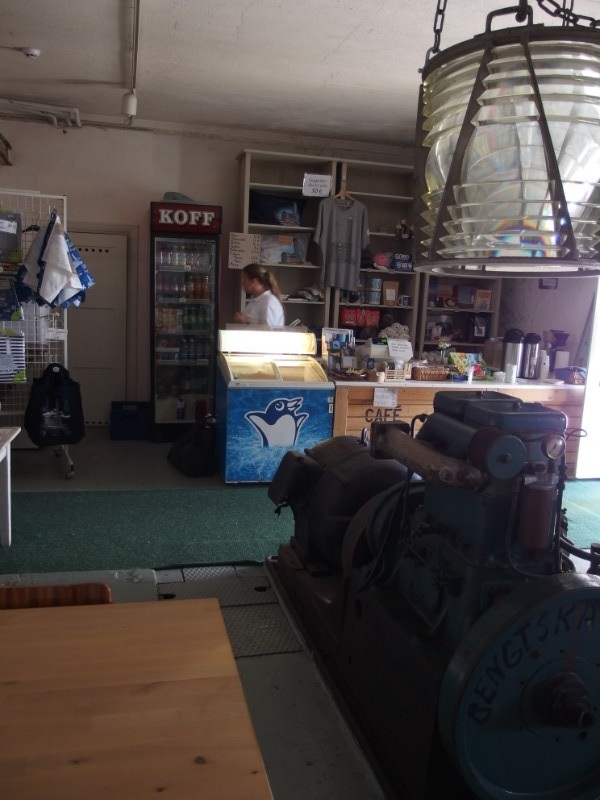 In the cafe you will find various souvenirs including T-shirts, bucket hats, towels, magnets, models of Bengtskär, key rings, mugs, and post cards. Bengtskär’s fish soup 17.50 euro/adult and 8.75 euro/child (4-14 years old). The meal includes Rosala bread, coffee, and pastries. Archipelago buffet 37.00 euro/adult and 18.50 euro/child (4-14 years old). The meal includes a standard archipelago table with many different dishes, coffee, and pastries. 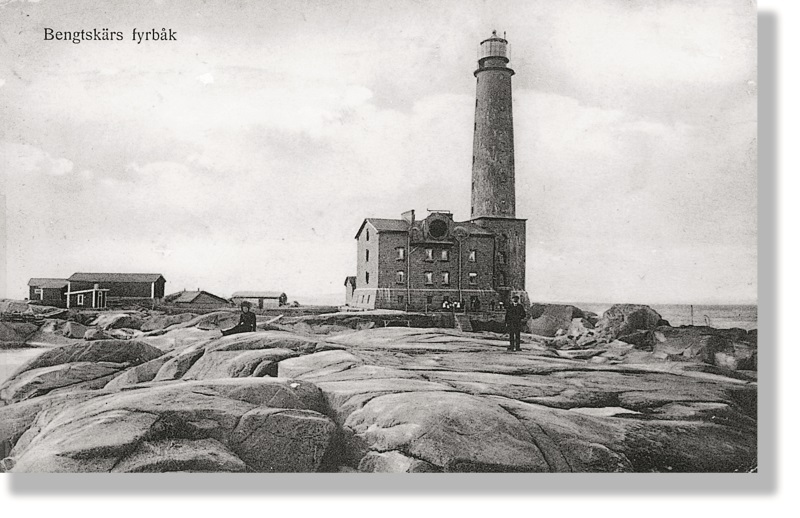 Postcards and letters that are mailed from Bengtskär will receive a special stamp showing that they were sent from the lighthouse.